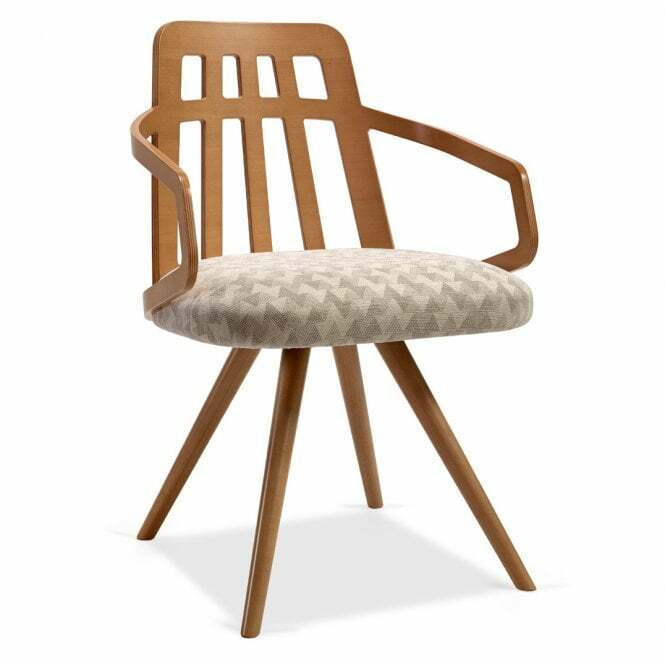 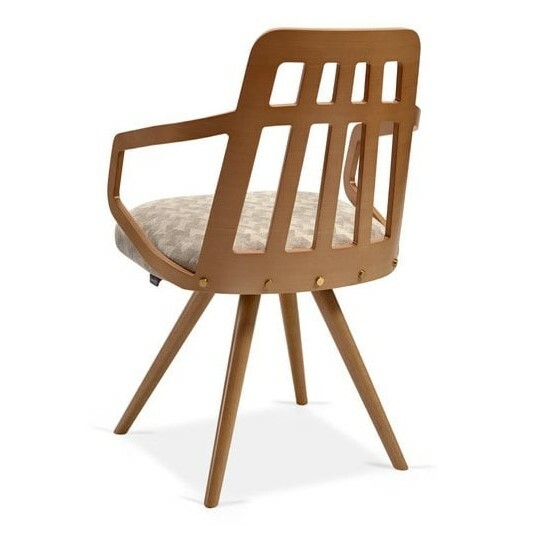 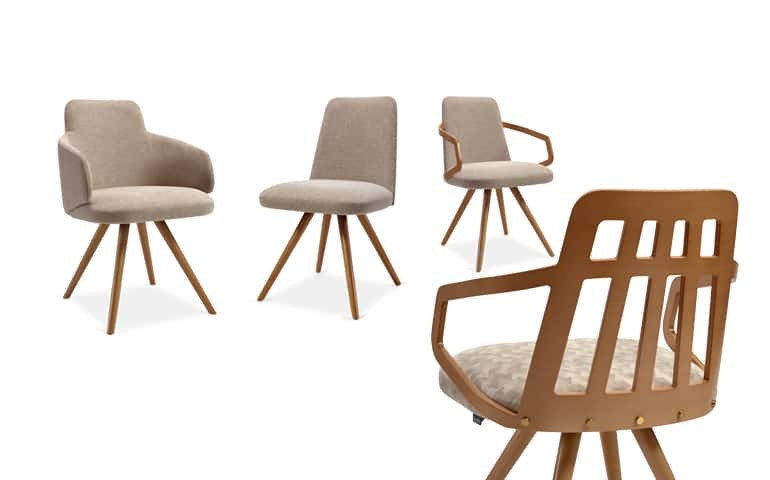 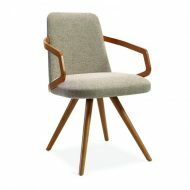 The Nuzzle Split Armchair is made of a Solid beech Frame polished. 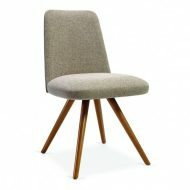 Exposed Split Back with Seat fully upholstered in Fabric, Leather or Faux Leather. 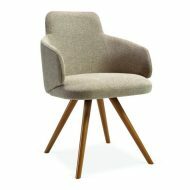 Different Legs and Style finishes available.